All my clients, whether they are planning for retirement, finishing work imminently, getting divorced, or simply wanting to review their existing investments, benefit from my approach to financial planning. Effective financial planning isn’t about products; pensions and ISAs for example. It’s about identifying your goals and ambitions in life, then producing a plan to ensure they are achieved. To put it another way; your money is just the means to an end. 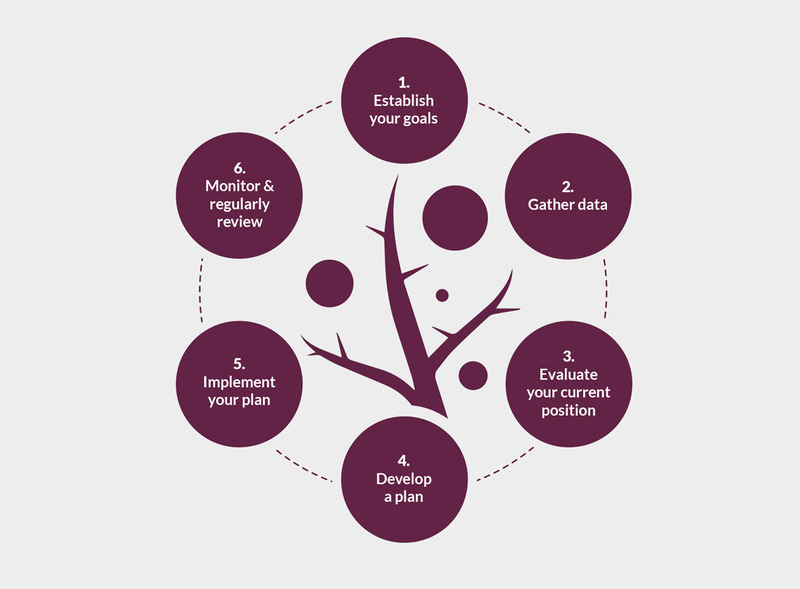 I follow these six steps with each of my clients, to ensure a financial plan is put in place which will achieve their life goals. Why do I believe in financial planning? Because it works and I know it is the most effective way of you achieving your goals, whether that’s to retire comfortably, rebuild your life after a divorce, feel more comfortable about your investments or simply secure your financial future. Separation and divorce is a difficult time, especially when important financial decisions need to be made. Your retirement won't magically take care of itself. It needs to be planned carefully over the course of many years. Make the right decisions now and you will secure your financial future for the years and decades to come.